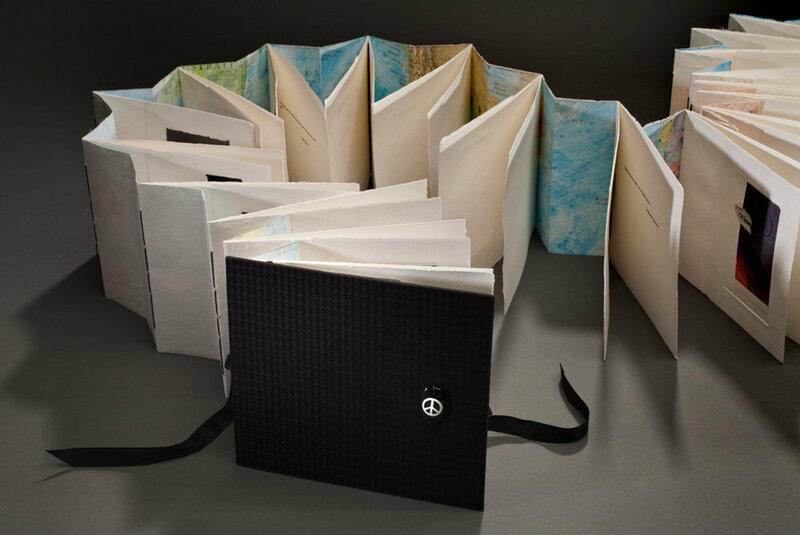 snap... is an artist book; it is a collection of ideas around PEACE. I wanted to bring the passion of the 60's the ideas and the efforts about peace up through the decades and into the present. The book started with a monotype that I purposely tore into pieces. There are 32 of the pieces in this book. I hand stitched peace signs on each page, some of the thread goes back 40 years to a time of the original peace sign. I then cut and pasted pieces of notes from friends and words from magazines. I used a world map as the backing to stitch all the pages together. The button on the front cover I found on a beach in Maui and is really the inspiration behind the project. The book came together when I placed quotes about Peace on the second page of each monotype. I titled it snap... because I wanted a current generation feel and young people use the word or gesture "snap" to bring focus to a thought. 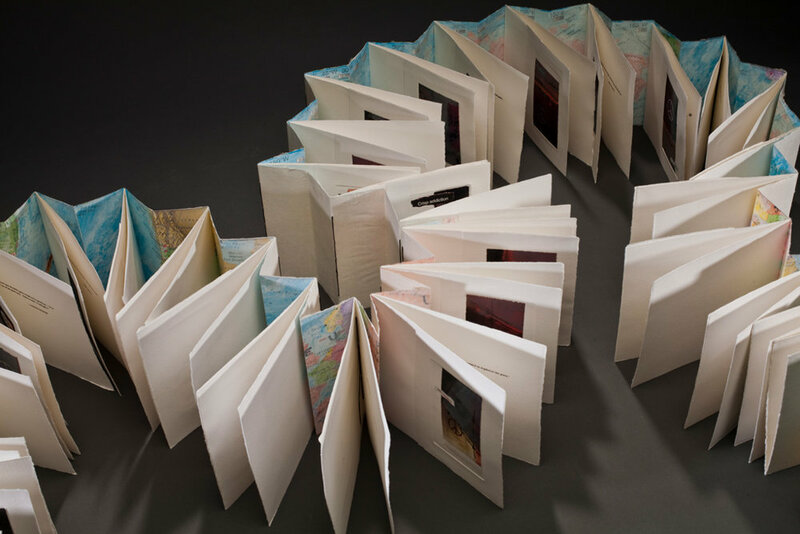 The book opens like a book or an accordian and closes tight with ribbons. With the back ribbon tied one may look through the book a page at a time. Fully open the book accordions out to 12 feet.